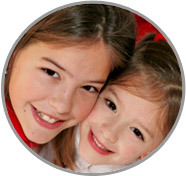 ABC's Cumberland County PA Nanny Agency thoroughly screens each candidate and sends you only the best caregivers! ABC’s Cumberland County PA Nanny Agency welcomes nannies like Patricia who wish to solidify a child’s developmental foundation! Please call 717-221-1020 today to speak with a placement counselor and start your search at the perfect Cumberland County PA Nanny Agency!